If you are flying within Chile, you’ll probably fly one of Chile’s national airlines, Latam (formally Lan) or Sky. Both of these provide reliable service throughout the country and their flights can be fairly cheap. However, if you are trying to buy tickets on either airline from outside of the country, you will not get the best deal. If you visit Latam’s website, latam.com, you will be able to search for flights in English but will not be getting the best price available unless you are in Chile. The Sky Airline’s website, www.skyairline.cl has an English version and offers affordable tickets to cities across Chile. You can buy on the internet from either the airline directly (Latam) or a reseller like cheapoair.com which shows Sky flights. You will get your tickets but will pay too much for them. You may be able to see your flights on Sky Airline’s website but you won’t be able to purchase them with your foreign credit card. 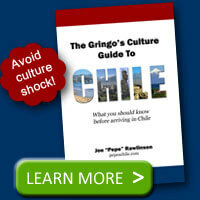 A local travel agent in Chile can book the flights for you and get the Chilean rate. You can get a friend in Chile to buy the tickets for you. I’ve wired money to a friend who then went to the local Latam office and purchased tickets on my behalf. Latam emailed me the electronic ticket and I was able to buy two tickets for the price of one had I purchased from outside Chile. This was cheaper than buying directly even when considering the Western Union fees. 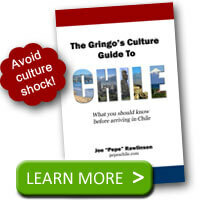 You can wait until you are in Chile to buy the airfare. However, this may limit your travel options. Flights naturally fill up closer to departure and Latam, in particular, increases rates closer to departure. It is best to buy your airfare in advance. Both Latam and Sky have local branches throughout the country where you can buy tickets in person or call their call center.